Climate is the temperature, humidity, precipitation, winds, radiation, and other meteorological conditions characteristic of a locality or region over an extended period of time. Climate change is any long-term significant change in the “average weather” that a given region experiences. Average weather may include average temperature, precipitation and wind patterns . The term Global Warming refers to the observation that the atmosphere near the Earth's surface is warming. This warming is one of many kinds of climate change that the Earth has gone through in the past and will continue to go through in the future. It is reasonable to expect that the Earth should warm as the amount of greenhouse gases in the atmosphere increases. It is known for certain that atmospheric concentrations of greenhouse gases are rising dramatically due to human activity. It is less well known exactly how the increases in these greenhouse gases factor in the observed changes of the Earth's climate and global temperatures. Other greenhouse gases include, but are not limited to, nitrous oxide, sulfur hexafluoride, hydrofluorocarbons, perfluorocarbons and chlorofluorocarbons. Human beings can contribute to global warming and climate change by polluting and cutting down rainforests, but humans can not control the climate or change it. 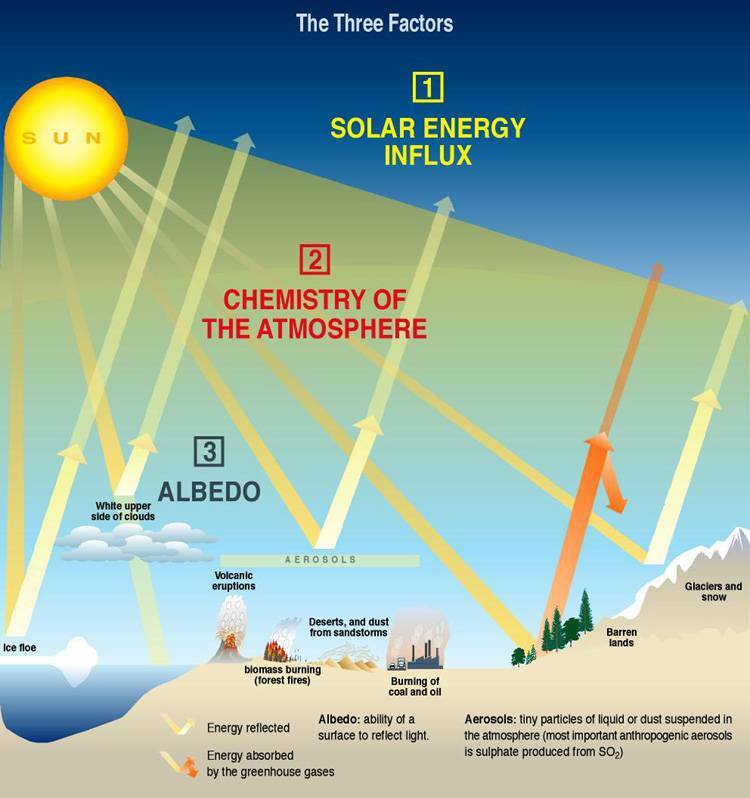 The climate system is very complex and has many variables and components. Human beings do not control all the variables and components or the Planet Earth. Any organization or person that is saying things like "we can solve the climate crisis" or "we can stop global warming" are making statements that are just "Advertising Slogans" impossible to accomplish. No matter how aggressively heat-trapping emissions are reduced, some amount of climate change and resulting impacts will continue. Consequently, there is a need for adaptation and mitigation. Mitigation is defined as -to lessen in force or intensity, as wrath, grief, harshness, or pain; moderate- to make less severe. At best human beings can slightly modify climate change. We should try to be the best protectors of the planet as much as we are capable and adapt to and prepare for the changes in the Earth's Climate that are inevitable. 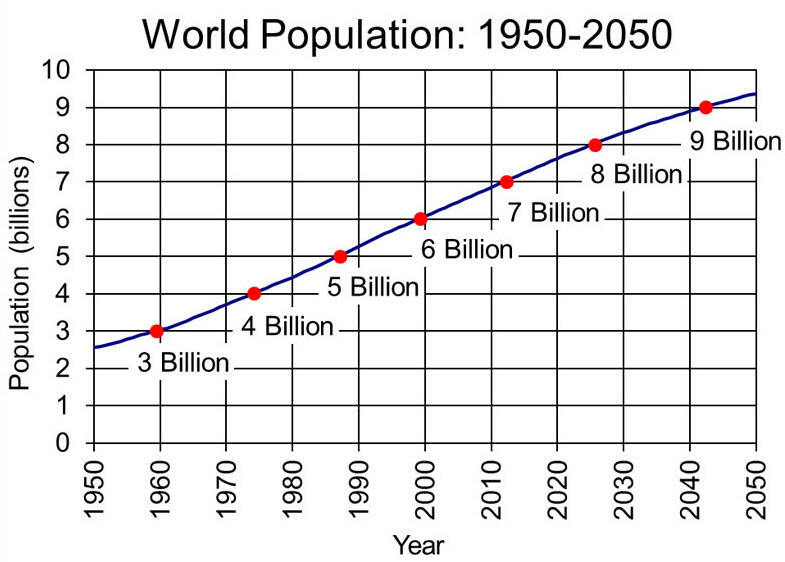 Between 1960 and 1999, Earth's population doubled from three billion to six billion people. When population growth is coupled with shortsighted planning and excessive consumption of resources, problems multiply. Human pressure on the environment is a product of three factors: population, consumption, and technology. Population is the total number of people, consumption is the amount of resources each person consumes, and technology is how these resources are used and how much waste is produced for each unit of consumption. We have transformed approximately half of The Earth's surface for our own uses, with widespread impacts on the planet's forests, oceans, freshwater, and atmosphere. If we stop all greenhouse gas emissions, will global climate change stop? Industrial activity has already pumped billions of tons of greenhouse gases into the atmosphere, and we have yet to see the full effect of warming from those gases. A great deal of excess energy imbalance is stored in the ocean and will be released gradually over time, continuing to warm the planet. In other words, some degree of climate change is irreversible. Scientists call this the "committed warming," and estimate that the Earth would continue to warm about 1 degree Fahrenheit (.6 degrees Celsius) even if greenhouse gas levels in the atmosphere stopped growing immediately. That is, if all human greenhouse gas emissions stopped tomorrow, the Earth could continue to warm for hundreds of years. Albedo, the ability of the earth's surface to reflect light.